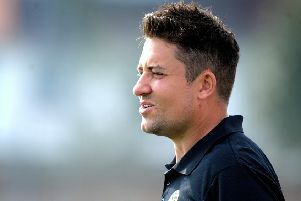 Alex Walsh revealed the pride he had in his Loxwood squad for moving further away from the Premier Division relegation battle. Saturday's convincing 3-0 home victory over Little Common, who have now fallen to second-from-bottom, moved the Magpies seven points clear of the drop with four games left to play. Loxwood themselves sat second-from-bottom before the appointment of Walsh at the end of October but now occupy 16th-place and have breathing space between them and the relegation zone. The Magpies boss said: "Winning becomes a habit and losing becomes a habit. We've been really good, don't get me wrong. "We've had little ups and downs as many teams have. Because of the start that we had we couldn't have too many downs. "We've had to claw back quite a big gap but we've managed to do that. "I'm so proud of the players because it's them at the end of the day that go over that line and perform. "We showed our quality on Saturday and I'm looking forward to going to a good Eastbourne Town side." Loxwood visit third-placed Eastbourne Town on Saturday, and the Magpies' opponents have been imperious in the league since a 5-1 away loss to Horsham YMCA on October 20. The Blue and Yellows have only suffered one defeat in 22 league fixtures and boast the second best goal tally in the division. With The Saffrons-outfit in insatiable form, Walsh wants his side to use their recent performances against teams in the upper echelons to 'upset the party'. He added: "There will be a great atmosphere down there and I'm looking forward to the challenge. "They've got a great fanbase and they're a great football club Eastbourne Town but we want to go there and try and upset the party. "We've been good against top-four sides. We beat Newhaven, got a point against Saltdean, so we can compete with them. "But we all have to be bang on it and everyone has to be fit and available and if we do that we can compete with most of the teams in the league." The Magpies will be missing one key player and sweating over the fitness of another ahead of their trip to the coast. 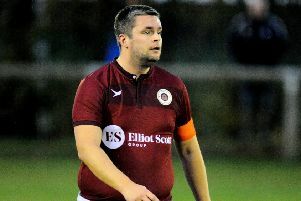 Tim Bennett has been ruled out for the rest of the season while Sam Karl may be a doubt after missing Loxwood's win over Little Common last weekend.